The Korean War ended with an armistice in 1953, after 3 years of negotiations, and mostly stalemated along the 38th Parallel, where it had started. (Russian backed and American backed Korean armies had divided along the 38th parallel after the Yalta conference.) It was agreed that a full peace treaty negotiation would begin in 3 months, that became 6 months in Geneva, and included French-Indochina by then. Secretary of State, John Foster Dulles refused to discuss Korean peace with Chou En Lai. In 1956 it became clear why, as the US abrogated paragraph 13(d), agreeing that no party would change the balance of forces or weaponry on the Korean peninsula. The US moved in every sort of nuclear weapon it could mobilize, targeting both Russia and China. The US has kept this forward nuclear fire-station ever since then. What do you think "completely denuclearized Korean peninsula" means to North Koreans? Wikipedia has the historical timeline here. U.S. and North Korean officials huddled in the Korean truce village of Panmunjom for a second day Monday, hammering out details of a proposed summit amid media reports that South Korean President Moon Jae-in may attend the historic meeting. ​Trump seems urgent to press some advantage and preserve his element of surprise. Negotiation team is pushed to make the Summit happen June 12. So what guaranty is structural, certain, and not based upon promises, which the powerful side can break when it feels like it? ​There is a rush to the exits in Italian bonds, as Italian president refuses a qualified eurosceptic finance minister, says he will appoint a "technocratic government" and the parliament won't permit that, so more elections, this fall to next spring, sometime.Too much uncertainty. A lot needs to happen​. The Euro is sick and getting sicker. ​The end of the Euro? Chelan County, along with neighboring Douglas and Grant counties, has been at the center of the U.S. Bitcoin boom since 2012, when the region’s ultracheap hydropower began attracting cryptocurrency “miners.”... By the end of this year, according to some estimates, the Mid-Columbia Basin could account for as much as 30 percent of the global output of new Bitcoin and large shares of other digital currencies, such as Litecoin and Ethereum... By February, the Bitcoin “gold rush,” as Wright calls it, had become so overwhelming that Chelan County PUD declared a three-month moratorium on new mines to determine whether the county can absorb even a fraction of that demand. But answering that question was more complex than the utility anticipated — and at the recent hearing, the commission voted to extend the freeze another three months. Mediterranean kids can't afford to eat the Mediterranean diet any more. They eat sodas, fats, carbs, salt and sugar like Americans and Mexicans. they are fat and sick, too. Swedish kids are coming the closest at the moment, but all kids, everywhere are losing ground to processed "foods" with long shelf lives, junk calories. Fresh food is priced out of the market, and nobody grows their own any more. Where would they grow it? 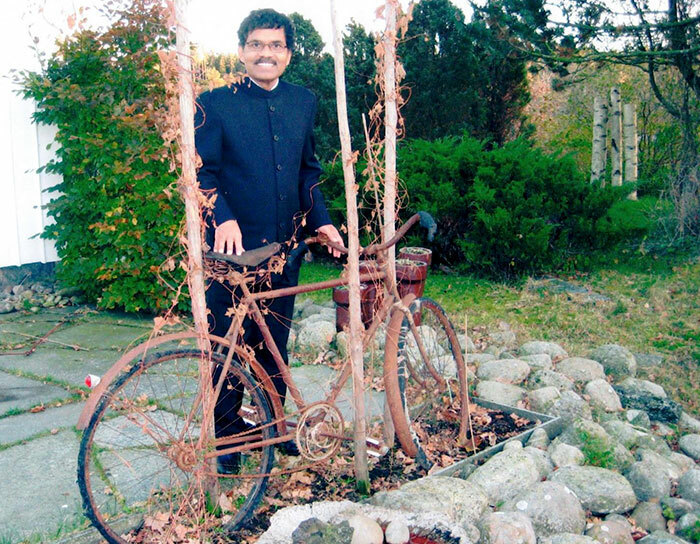 Pradyumna Kumar Mahanandia was born an “untouchable” in a remote village of India in 1949. According to prophecy, told by an astrologer after Kumar’s birth, he was meant to marry a musician woman from a faraway country, who is born under the zodiac sign of Taurus and owns a forest.